Height 5 feet 11 inches. Weight 162 pounds. Chest measurement 37-39 inches. Complexion dark. Hair brown. Eyes brown. Sight - right eye 6/6, left eye 6/12. Hearing and colour vision both normal. Limbs well formed. Full and perfect movement of all joints. Chest well formed. Heart and lungs normal. Teeth fair. Free from hernia, varicocele, varicose veins, haemorrhoids, inveterate or contagious skin dis ease. Good bodily and mental health. No slight defects. No disrinctive marks or marks indicating congenital pecularities or previous disease. Wounded at Gallipoli 25/28 April right forearm. Admitted 15th General Hospital, Alexandria, and convalescing. August 1915 debility, septic knees, evacuated to Malta, admitted to Hospital in England. Wounded 20 September 1916 in 2nd London Hospital, Chelsea - right buttock, legs, and scalp - progressing favourably. Previously reported wounded now reported missing believed Killed in Action, result of a Court of Enquiry, 26 September 1916. Thomas Alfred Sanders was the third son of Frank and Jane Sarah (née Tuthill) Sanders, of 47 Birket Street, Temuka, South Canterbury. Born on 6 April 1892, he was educated at Rangitira Valley and Temuka schools, and the Temuka District High School. It was at Rangitira Valley in 1900 that Thomas featured in the prize list. On 21 September 1904 he met with a painful accident in the Temuka District High School playground. He was running round the school when he collided with another lad and fell, injuring his leg. The doctors discovered that he had suffered a dislocated knee and a fracture of the leg above the knee. After the leg had been set in an adjoining house, he was taken home. Thomas had learnt his plumbing trade at Temuka. About 1911 he went to the North Island, accepting an appointment with the Hamilton Hardware Company, at Hamilton. In 1914 Thomas and two brothers, Joseph and Frank, were all living in Hamilton. Thomas enlisted at the outbreak of war, his next-of-kin being his father Frank Sanders of Temuka. He was already serving with the 16th Waikato Regiment. With the Waikato Company, he was at the mobilisation camp at Auckland in September 1914, one among some 2100 men. He was a well built young man, standing 5 feet 11 inches tall and weighing 162 pounds, and he was in good health. At the time of enlistment Thomas was employed as a plumber for Hamilton Hardware Co. On 16 October 1914 he was on his way, with the Auckland Infantry Battalion, to Egypt. At Alexandria, on 12 April 1915, he embarked for Gallipoli. Soon after landing, or on landing, Private 12-865 T. A. Sanders was wounded in the right forearm at the Dardanelles. He was admitted to the 15th General Hospital at Alexandria and then transferred to the convalescent camp. After recovering and being discharged from hospital, Thomas was sent to the front again. But before long – in August 1915 - he was evacuated to Malta, slightly sick, suffering debility and with septic knees. Sick and wounded, he was admitted to Suffolk Hall Hospital at Cheltenham, England. 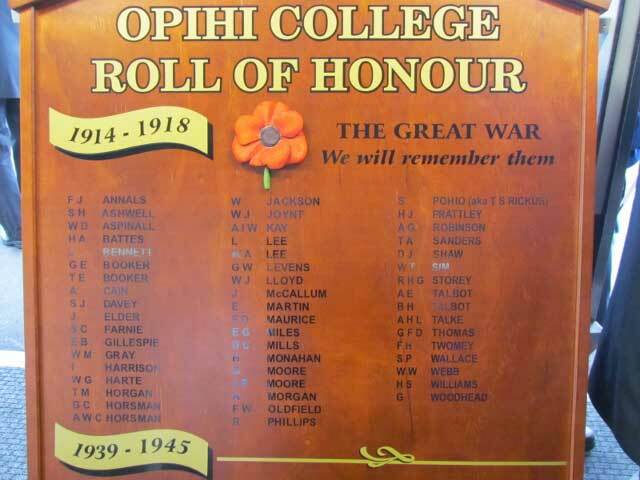 As news of his death reached Temuka folk, his name moved up the Roll of Honour published regularly by the Temuka Leader. Messages of sympathy were received from His Majesty, His Excellency the Governor, and Hon. James Allen. Tom’s father was for many years a member of the Temuka District High School committee, which expressed sympathy to his family and all stood in silence when the chaiman proposed a motion of sympathy. “Corporal Saunders was a fine type; of young man, whom to know was to like and respect, and much sympathy is felt for Mr and Mrs Saunders and family.” (Temuka Leader, 11 January 1916) Gunner Thomas Alfred Sanders was remembered with love by his parents in September 1917 and again in September 1918. At the annual meeting of the parish of Temuka and Winchester in May 1917, the names of Thomas Sanders and five other were added to those of nine members of the church who in the past year gave their lives for the Empire. “All gallant lads, the brave and the true who have died the death of honour and departed, as we trust in the hope of resurrection to eternal life” the vicar recorded. Tom’s mother regularly gave flowers for the altar vases in that church and his father was a vestryman. Fourteen months later the Temuka Borough memorial was unveiled before a very large gathering in the domain, including Temuka Territorials and Cadets, Temuka and Geraldine returned soldiers, the Temuka Pipe Band, the Salvation Army Band, the children of the district schools , national and local dignitaries, and local folk. Opening proceedings, the Mayor said “We regret that this occasion has arisen, but having done so we must look back with pride at the actions of those who rose to the call of the Motherland, which was in peril. Many of those brave boys who left these shores did not return, and we have erected this memorial to their memory, . . . “ Following hymns and scripture readings, His Excellency the Governor-General formally unveiled the monument and the local M.P. read out the names inscribed thereon. He had made out a Will in favour of his mother. This went to probate in August 1917. As no executor was named the Public Trustee administered the estate – cash in Post Office Savings Bank, a freehold section worth £100, and balance of military pay. It was to his mother that his medals were sent, while the memorial plaque and scroll were sent to his father. His brother Albert Joseph SAUNDERS also served in World War I.
Thomas Alfred Sanders is remembered on the Caterpillar Valley (New Zealand) Memorial at the Somme, France. 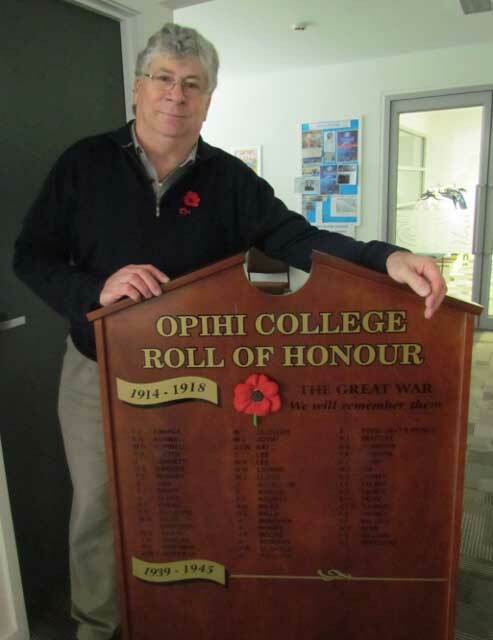 His name is inscribed on the Timaru Memorial Wall, the Temuka War Memorial; the Temuka RSA Roll of Honour; St Peter's Anglican Church, Temuka, Honour Board, the Auckland War Memorial Museum World War I Hall of Memories, the Temuka District High School Roll of Honour, and the newly constructed Opihi College Roll of Honour.